So what is 5G, exactly, anyway? Well, if you’re asking about “exactly,” it doesn’t exist yet. Oh, that helps me a lot. Sorry. But the best answer to your question is probably that 5G is sort of a catch-all name to describe the next generation of carrier wireless technology that’s going to be slinging tweets and videos and connected home signals from the internet to your smartphone or your smartwatch or, really, any smart object you’ve got handy. So why’s it better than 4G? Haven’t we had enough Gs? Oh, not hardly. 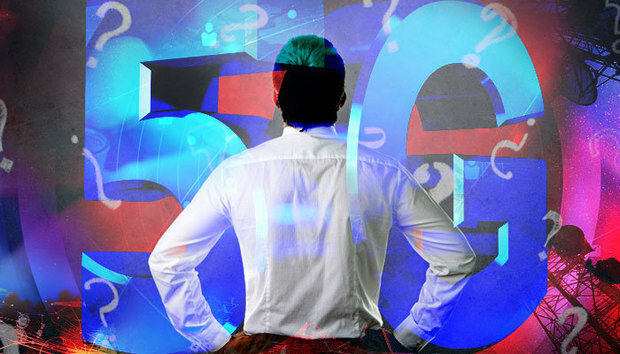 You see, 5G – like 4G, and the rest of the Gs, in fact – is entirely a marketing term, meant to give an overview of a certain generation of carrier wireless tech. Most of what we’ve got in this country that we refer to as 4G is called LTE, although regular LTE isn’t quite 4G, according to standards groups, and LTE Advanced. It’s a marketing term, but it’s also a standard? What? It’s confusing, without question. The standards body that’s responsible for wide-area – that is to say, carrier – wireless technology is 3GPP, and while they’ve codified a set of capabilities that qualify as “4G,” they’re not done doing the same thing for 5G. So when are they going to be finished with that? Best guesses from the experts are that the standards work at the International Telecommunication Union and the subsequent reference designs from 3GPP – which these groups undertake in partnership with basically everybody who has a stake in what the eventual technology will look like, including gadget makers, carrier equipment manufacturers, the carriers themselves, and many more – around 2018 or 2019. So that’s when we’ll see 5G? Not exactly. A standard is just a definition of what a 5G system is supposed to do, it’s not an actual technical design for that system. While there’s a lot of testing and development underway already – and we could even see the odd piece of “pre-standard” 5G technology released here and there – 5G tech won’t take the consumer market by storm until 2020 at the earliest, and possibly not until 2023 or later. The big question, then – what’s it going to look like when it gets here? “Cool,” in a word. 5G wireless is going to be complex and powerful, able to handle both the raw bandwidth demands of the near future and the huge increase in the number of connected devices, as cars and refrigerators and light switches join smartphones and tablets on the airwaves. It’ll use lower-frequency radios to cover large areas, like now, with lots of optimizations to permit more connections per access point, as well as larger numbers of millimeter-wave base stations to provide enormously fast throughput speeds to areas of dense demand.